Headline says it all – CCC’s terms may have jumped the shark for many institutions. Collective Licensing: You Will Be Assimilated! Not unlike the Borg, a collective rights organization (CRO) assimilates all authors into a collective and offers licenses to use any (or all) of the rights in this collective portfolio. 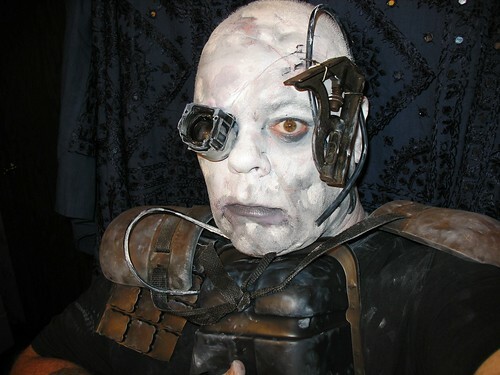 Also not unlike the Borg, CROs often have as part of their duties to prowl the universe looking for users who can be assimilated into their customer base, paying a steady stream of protection money for one of their blanket licenses. The episodes collected below reveal a long history of corruption, mismanagement, confiscation of funds, and lack of transparency that has deprived artists of the revenues they earned. At the same time, CROs have often aggressively sought fees to which they were not legally entitled or in a manner that discredited the copyright system. While properly regulated CROs in some circumstances enhance efficiency and advance the interests of rights holders and users, policymakers must be aware of this history as they consider the appropriateness of CROs as a possible solution to a specific copyright issue. This entry was posted in Uncategorized and tagged CCC, copyright, CRO, libraries on September 20, 2012 by admin.